Halloween is just around the corner and if you don’t want to have the same costumes or accessories as everyone else and are too lazy to make your own, check these unique items created by international indie designers. You can find these and more items at Young Republic, a very cool Aussie website that sells unique goodies created by independent designers from all over the globe. When I first checked out the website I was impressed at the quality and the pretty affordable prices. The particular items above are part of a Halloween themed curated collection called The Spooks and this is just a small sample of the awesomeness that you can find in the collection. Check the rest of the Young Republic community here. So what are your thoughts on the pieces shown above? Tell me below. 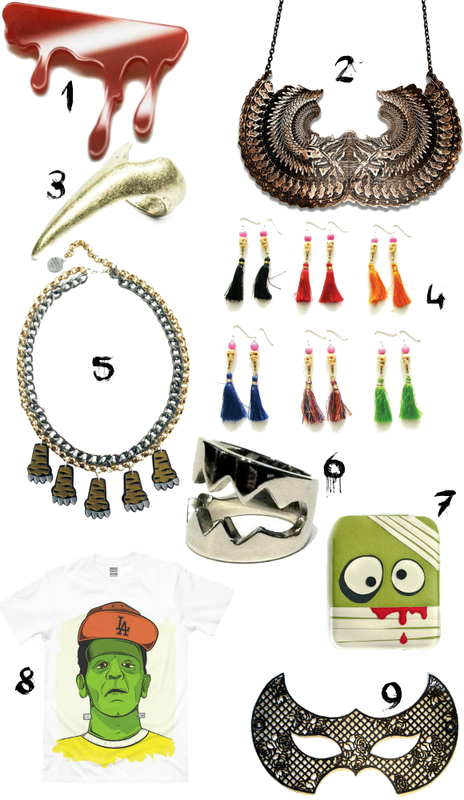 Tags: Accessories, Fall 2012, Fashion, Halloween, jewelry, style, The Spooks, Young Republic. Bookmark the permalink.